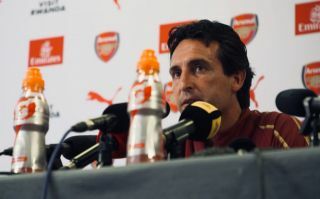 Arsenal manager Unai Emery has named Laurent Koscielny as the club’s new captain ahead of his debut season as manager. Koscielny moved to The Emirates from French club Lorient back in 2010 and has since gone on to make over 200 appearances in the red and white shirt. Over the last few years of Arsene Wenger’s reign as manager, the French defender was one of the most consistent performers at the club and he has now been rewarded with the captain’s armband for their latest campaign. The 32-year-old missed the chance to pick up a World Cup winners medal this summer with France after being ruled out before the final squad was announced with an Achilles injury. Koscielny remains sidelined for the time being, However, receiving the backing of the new Arsenal boss ahead of the new season will surely provide his confidence with a huge boost and supporters will hope that he can produce his best form when he comes back, as the team aims to regain their place in the top 4. Unai Emery has named his captains for the new season ? “The captain of this group is Laurent Koscielny, who is injured at the moment. After Laurent, our other captains are Petr Cech, Aaron Ramsey, Mesut Ozil, and Granit Xhaka.” Emery said when announcing his decision, speaking to Sky Sports. Who should be Arsenal captain? Per Mertesacker had led the team as captain during the last few seasons but he retired in May, which may have been one of the reasons for Emery bringing in significant defensive reinforcements during the transfer window. Stephan Lichtsteiner, Sokratis Papastathopoulos and goalkeeper Bernd Leno were all brought in this summer to bolster the squad at the back and when Koscielny returns later in the year Arsenal will have one of the strongest defensive units on paper in the entire Premier League.